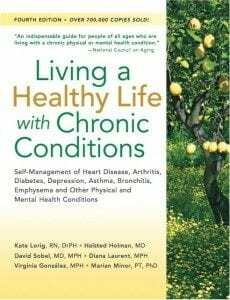 The Living Well with Chronic Conditions is also known as Chronic Disease Self-Management Program (CDSMP). Participants see improvements in exercise, cognitive symptom management, communication with physicians, self-reported general health, health distress, fatigue, disability and social/role activities limitations. The spend fewer days in the hospital. They have fewer outpatients visits and hospitalizations. To find a Living Well with Chronic Conditions class nearest you, visit their website at www.yourjuniper.org and enter your zip code in the search field. Workshops are facilitated by 2 trained leaders, it is recommended that at least 1 leader have a chronic condition. Potential leaders must attend all 4 days of training to be certified. Organizations are encouraged to train at least 2 leaders or more as this allows for flexibility in scheduling community workshops. These are tools that leaders will need to use to host a Chronic Disease Self-Management Program..